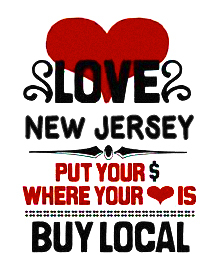 Thank you for purchasing from my site - you're not only about to discover and enjoy Hopewell Valley wines, but you've also just voted with your dollar - to keep local farms and green businesses alive and thriving...even in small, densely-populated states like New Jersey! We've come so far here at Hopewell Valley Vineyards because locals (well, alright, Philadlephians, New Yorkers, & Delawareans included) have seen the value in our products and offerings to the community, and instead of buying a 5-buck-chuck at Trader Joes, they've driven all the way down to 46 Yard Road to pick up some of our wines. Honestly, that means the WORLD to us. So now, we're offering our LOCAL products ONLINE. And even if you're NOT in the NJ area, please do know that your support of our vineyards is deeply appreciated. Hopefully, one day, you'll have a chance to swing up our country road, to kick back for some wine and music with us together...and tell us how you've been. 1) You should receive an e-mail confirmation concerning your order via PAYPAL. 2) Liz, our amazing office manager here at HVV, will email you once your order has shipped from the winery, with a UPS tracking number. 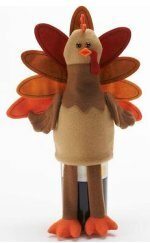 3) *PLEASE NOTE that orders made from Friday 3PM until Monday morning will be processed at the winery Monday! 4) If you're based in NJ, the standard 5-day shipping is usually actually just a day or two. 5) By law, the delivery of alcoholic beverages to a residence must be delivered in person to a household member over the age of 21. Please keep this in mind! 6) Last but not least, enjoy your wine! And if you have any comments or suggestions please feel free to drop me a line at: info@enjoyhopewellvalleywines.com. This is a new service that is meant to add convenience and value to HVV customers, so feedback is welcomed!